At school during A levels, I was fascinated by the anatomy and function of the eye in biology class. By the time I started medical school I had already made up my mind to become an ophthalmologist. Early in my ophthalmology career, I was drawn to the complexity and delicacy of vitreoretinal surgery, and how it is an extension of, and a window to, the brain. I enjoy making a difference to the lives of my patients, both adults and children with vitreoretinal diseases. In particular, I have a super-specialty interest in paediatric vitreoretinal diseases with a UK national surgical centre for premature babies at Great Ormond Street Hospital for Children. The potential to save a baby’s sight through surgery is one of my main passions, particularly as children born today may live a hundred years or more. The journey of treatment for these families is often a very emotional one, and it is a privilege for me to share this connection with them. 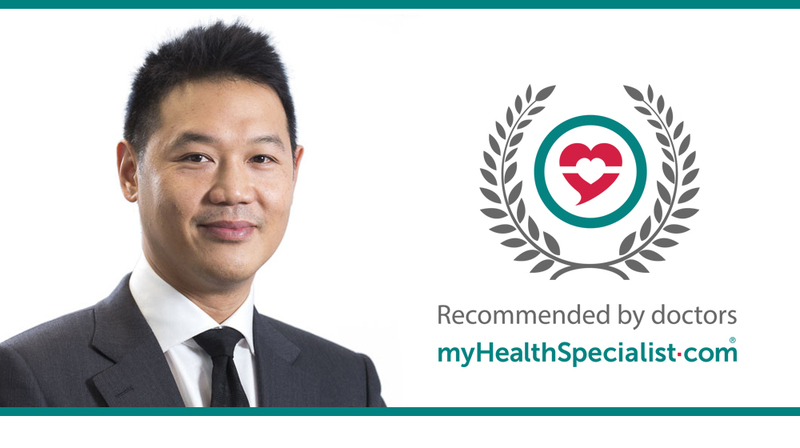 If you’re considering vitreoretinal surgery, it may be useful to get more than one consultant’s opinion, to enable you to make the best treatment choice. I believe in helping my patients make a treatment decision that best suits their needs, as every patient is unique. I also believe that less is more with surgery, i.e. only doing what is absolutely necessary. Thirdly, I thrive under pressure and thus am extremely calm and collected during surgery, particularly with challenging cases. Michael Jordan, arguably the best NBA basketball player of all time. I love his passion and unshakeable self-belief. Being a father to my two beautiful young boys, the experience of which has made me a better person. Gene and stem cell therapy for retinal diseases. The iPhone’s built-in Health Data app. It’s fascinating how many steps we walk and climb a day!